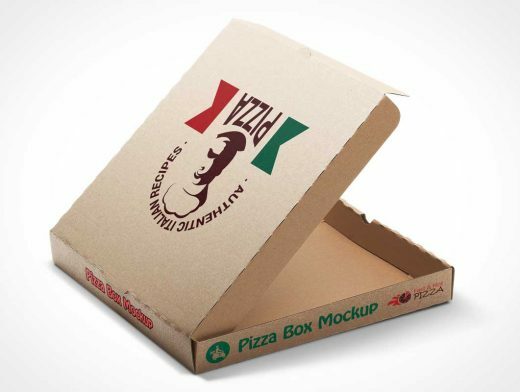 This is a set of free pizza box mockups which contains four editable PSD files, high resolutions and usable for your packaging design project. This box type is a brown carton paper, if you want to change the base color for the box you can simply add a colorized hue/saturation layer and set the color to match with your designs. The disign itself is in transparent mode so the box still look original, if you have your design with a solid color then you can adjust the shadow and light to make it still realistic. Please download and try this mockup… keep share.